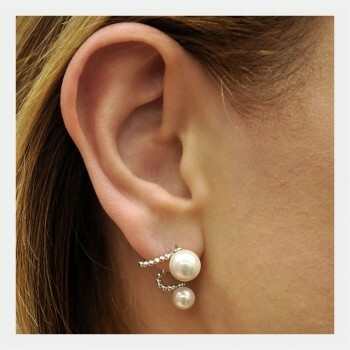 These pearl and clear CZ jacket earrings are stunning and elegant. 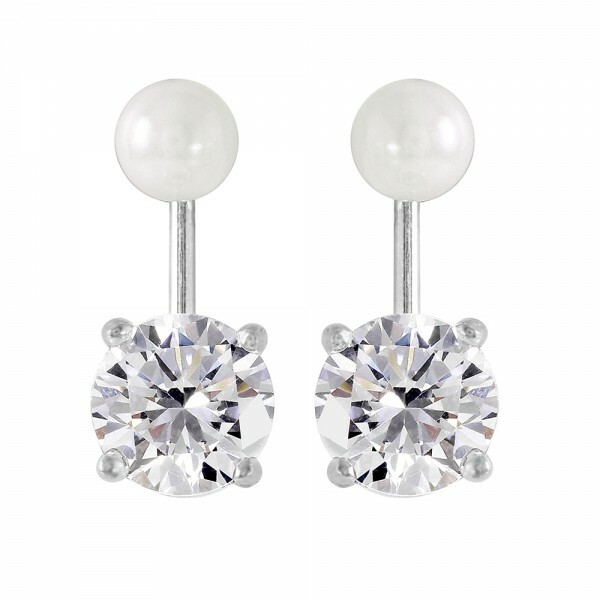 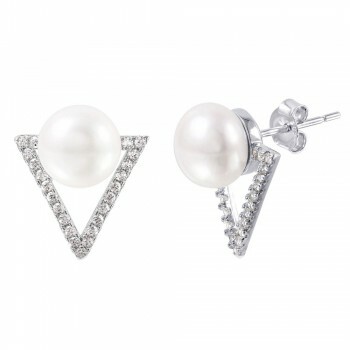 These pearl CZ jacket earrings are the perfect combination of modern and timeless. 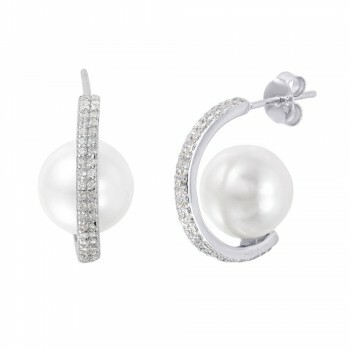 The white pearls give the earring jacket style a glamorous appeal. 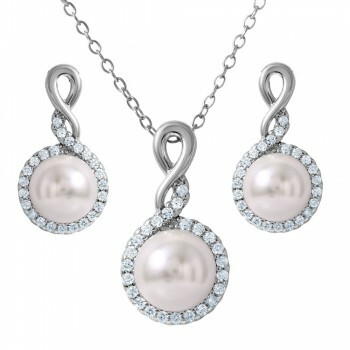 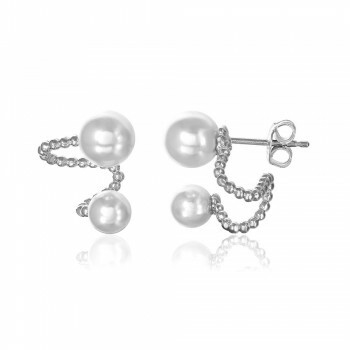 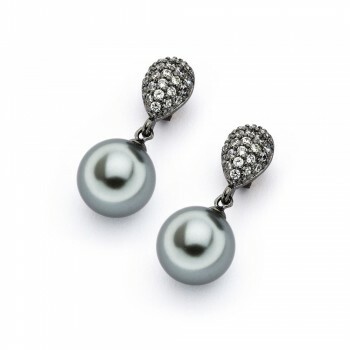 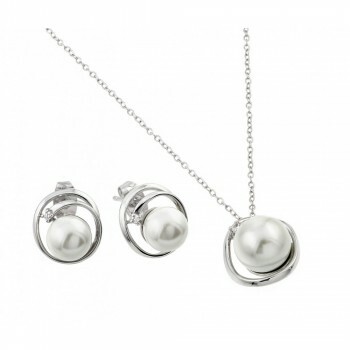 Pair these pearl CZ jacket earrings with a pearl necklace for a stunning look. 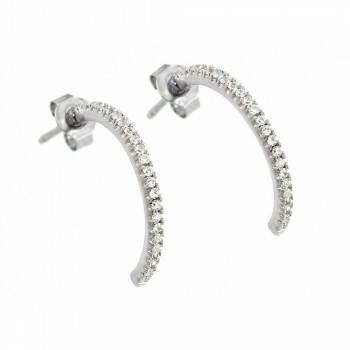 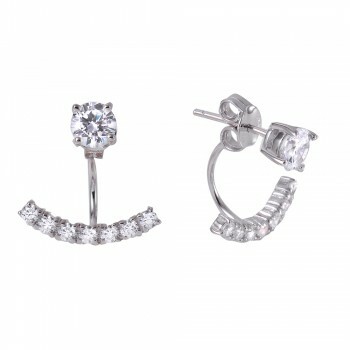 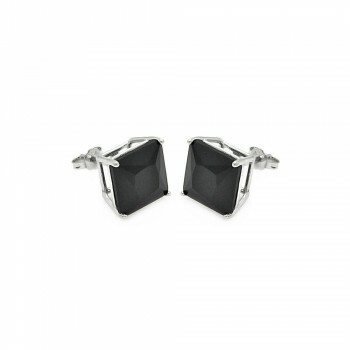 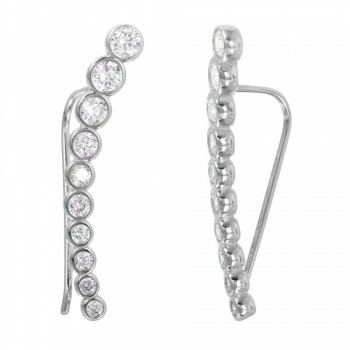 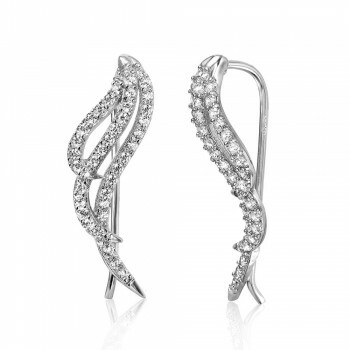 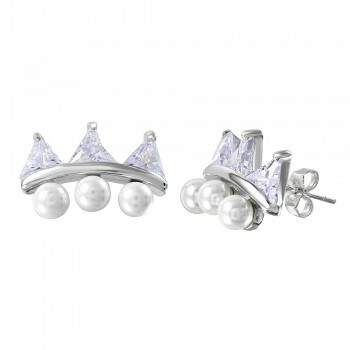 These pearl earring jackets are made with high quality rhodium plated sterling silver. 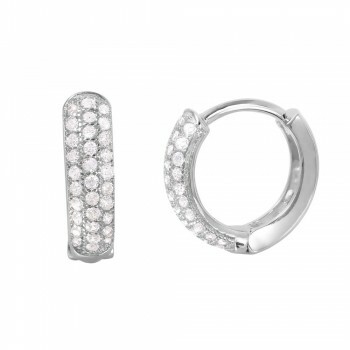 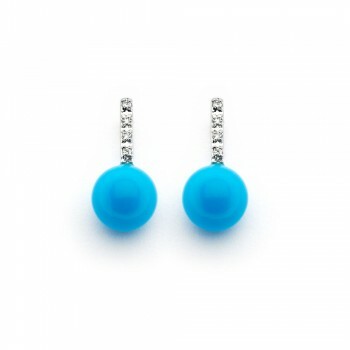 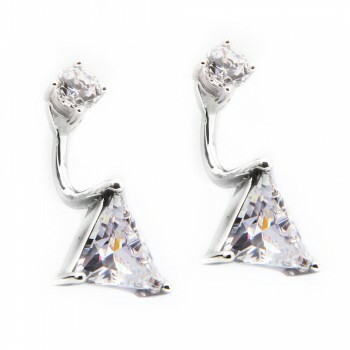 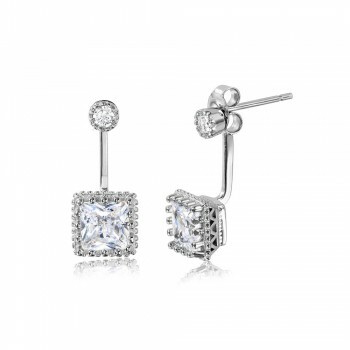 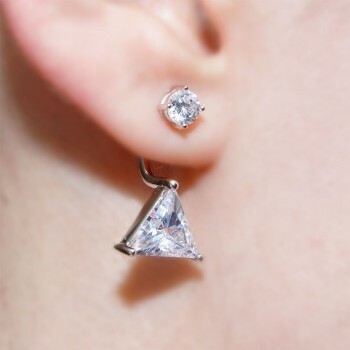 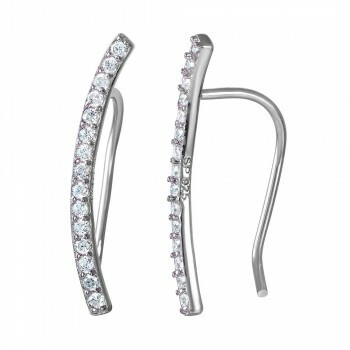 The round CZ stones in these earrings measure 7mm in diameter. 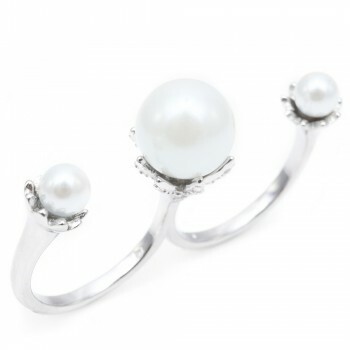 The white synthetic pearls measure 5mm in diameter.